The cold weather can be dangerous for humans and animals alike. 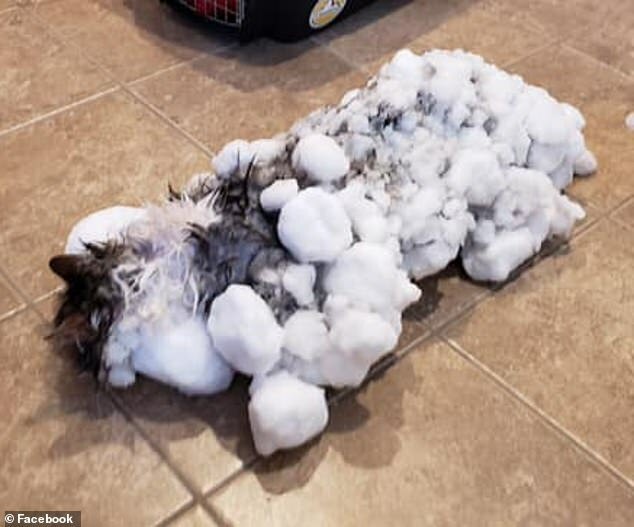 Fluffy, who lives in Kalispell, Montana, with her owners, was discovered last Thursday after the city suffered freezing temperatures between -1 (30F) and -8 degrees (17F). Someone found the frozen cat and rushed her to a vet, who immediately warmed the cat up with blankets and warm water. Amazingly, Fluffy recovered after a few hours. Hopefully Fluffy will stay inside where it’s warm and only venture outside for short periods of time. To read more about a frozen cat’s miraculous recovery, click here.